Encouraging results has led HP to raise its full-year profit forecast too. 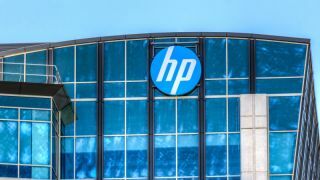 HP has defied analyst reports of falling PC sales with strong quarterly revenues, thanks largely to strong demand for its notebooks and desktops. The news was just published by Reuters, saying the company has now raised its full-year profit forecast, as well, from $1.90 - $2.00, to $1.97 - $2.02. The company’s personal systems business, which includes notebooks and desktops, accounted for more than 60 per cent of HP’s total revenue, Reuters says. Sales were up 14.5 per cent in the second quarter, up to $8.76 billion, beating analysts’ expectations of $8.28bn. According to IDC, HP is the number one company in global PC shipments for Q1 2018, holding 22.6 per cent of the market share. In other news, HP has named Steve Fieler as its chief financial officer. Fieler will be replacing Cathie Lesjak, a HP veteran who had spent 32 years at the company. He will assume office on July 1, Reuters says, and will abandon his current post leading HP Inc’s treasury and corporate finances. Lesjak, on the other hand, will take the role of interim chief operating officer.